Toon's Tunes : Review: Shinedown, Attention Attention: get ready for some festival anthems! 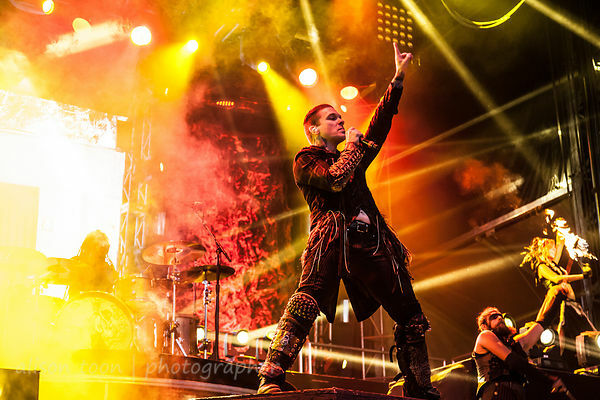 Review: Shinedown, Attention Attention: get ready for some festival anthems! Shinedown's latest album, Attention Attention, was released a couple of days ago, and it's full of hard-rocking-festival anthems. Ranging from the wonderfully-bass Black Soul to the almost-pop-chart-ready title track, Attention Attention runs through the entire range of hard rock, and is going to be mandatory listening for anyone planning to see them at one or more of this summer's festivals. It's the perfect workout album; listen to it at the gym or on a fast walk, and you'll burn a few more calories. You can see Shinedown tour dates here, including dates with Five Finger Death Punch earlier in the year and Godsmack later in the sumer in the USA, and at festivals including Download festival, Castle Donnington, in the UK, Rock am Ring and Rock im Park in Germany, Graspop Metal Meeting in Belgium, Download Madrid in Spain, and then, in October, at Aftershock in Sacramento, California. You can listen to Attention Attention here on the Shinedown official YouTube channel, then go and buy Attention Attention through your usual music supplier. 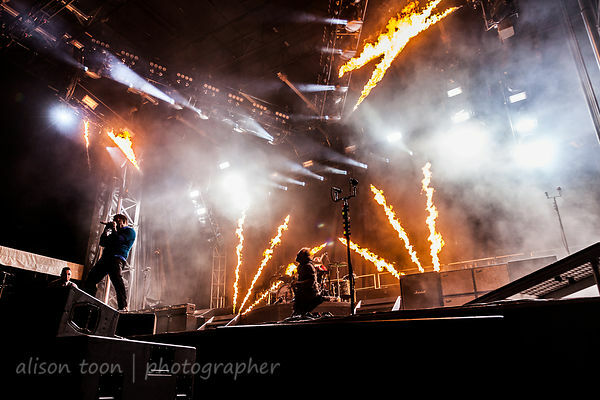 Many more Shinedown photos here in the photo galleries!